These comprehensive Internet Marketing Video Tutorials show even the brand new IM'er how to get set up and start making money online. If you have been struggling so far in your Internet Marketing efforts it could be simply because there is just so much to learn about setting up and implementing all the online marketing tools you must use if you want to succeed online. Do you Squidoo? Are you a Hubber? Or are you a FaceBook fan? Maybe you just like to Twitter a lot? Are you a blog blaster? Do YouTube videos light you up? Is becoming an EzineArticles 'Platinum Author' a dream of yours? These are all great resources for every internet marketer to be successful and profitable, and most are free to use as well. But they can't help you to make money online if you don't know how to use them to the maximum benefit! 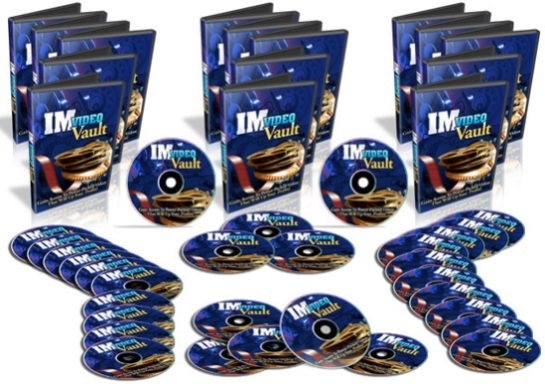 If you have been wondering how to set up your own website blog, or open your web 2 accounts, set up your profiles, and USE all these great internet marketing tools, then you will learn everything you need to know in my set of 30 videos covering every single aspect of IM training! In my set of IM Video Vault you will receive access to all 30 comprehensive tutorial videos which show you step-by-step all the important things you must know if you want to succeed in internet marketing. And once you have implemented what you learn from them into your successful business, you can then use these same videos to train your virtual assistants to do all the outsourced work for you! This unique Internet Marketing video tutorials training pack is On Sale! Just take a look at the MASSIVE range of tutorial subjects covered in these 30 videos! You will get instant access to the download page where all the files are gathered for you to download the videos to your own computer. 24/7 access to reference your own internet marketing video tutorials and internet marketing course! "For many website owners, getting traffic and search engine rankings to your site is a constant challenge, especially for those of us with no search engine optimization skills. I have found a couple of great video tutorials that can help even the novice webmaster learn some basic tricks to getting their website noticed. In this day and era, taking advantage of social networks such as facebook is a great way to reach potential visitors to your website. The video tutorial, How To Create a Facebook Fan Page is a very easy to understand lesson on how to make a fan page for your business or website. 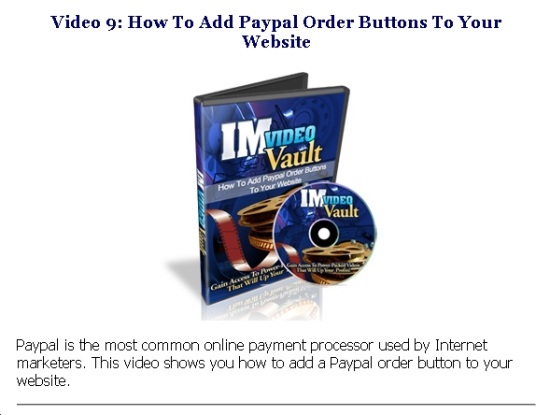 The step by step guide in the video points out the various different types of fan pages such as cause, a local place, business or even a particular band. If you have yet to make a facebook fan page, then this is a must watch video laid out in the easiest way for you to start getting fans. Another great video to watch is How To Submit An Article To An Article Directory. Articles that are wrote about your site is a good way for people to know about your business, but how do you get your article to be picked up by the search engines? This easy to understand video takes some of the guess work out of the process. From step one on setting up an account with ezines, to placing the article and how to properly use any bold words and spacing.One of the most important steps as pointed out in the video is how to add your websites URL in the authors resource box to ensure a live link for the search engine robots and spiders. Have you ever wondered how to determine your alexa ranking?There are a couple of ways to find this information out.The next video I recommend is How to Determine Your Websites Alexa Ranking. This video offers 2 ways to find out valuable information on your alexa rankings as well as graphs and demographics of visitors. A simple addon to firefox browser is one way to find out alexa information, but this tool only shows basic information such as your ranking number. A better way with more statistics that’s pointed out in the video is to go to alexa website and enter your web address. From there you can click different tabs that breaks down your stats in a more informative way to help you see if you are reaching your desired audience. These videos are valuable resource for anyone that’s interested in website promotion." Continue to research and learn about the fundamental techniques of internet marketing and methods of honest and responsible affiliate marketing. Do not make the mistake of listening to the "get-rich-quick" goo-roos that promise you the world, but sell you nothing but empty promises and fluff with no value! Stick with the people you have researched and trust, don't ever be seduced by BH secrets about how to game the system - THEY DON'T WORK!! Making money online is a dream for many people and some of those people are very successful at doing it. There are a few different ways to make money online and one very profitable business is by having your own information product to sell.But why stop at one??? If you have your own information product you can keep 100% profit from every sale that you make or you could have affiliates promoting your product and although you are sharing the profit you are also making more sales. So having your own product is a very good business strategy. So if you can make good money with one product, imagine how much income you could earn if you have more products. It is definitely worth thinking about building your own information product business. Does your niche have potential for multiple products? 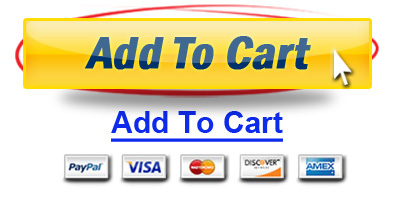 With many niches you will have the demand for more than one product. Let’s use the ‘dog’ niche as an example. 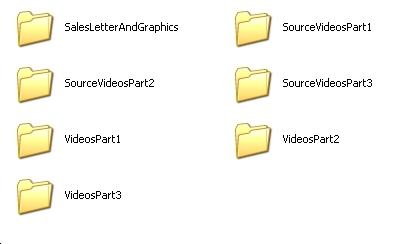 As you can see there are a number of ‘sub niches’ within the dog niche and you could create an information product on each of these sub niches. If you are going to build your own information product business then you need to give your business a brand name. This way you can build a brand that will become known and when one of your customers finds another product with your brand on it then they will recognize it as one of your products. It is a good idea to have a brand name and logo to make your products instantly recognizable. When you sell your products you should collect your customers name and email address so that you can follow up with them and give them any updates that you make to the product. By collecting your customer’s information you also have the ability to show them some of your other products that they might also be interested in. By having an information product business that sells products in the same niche you have a much greater income potential as many of your customers may return to purchase other products from you. So why stop at just one information product when you can build a whole business! 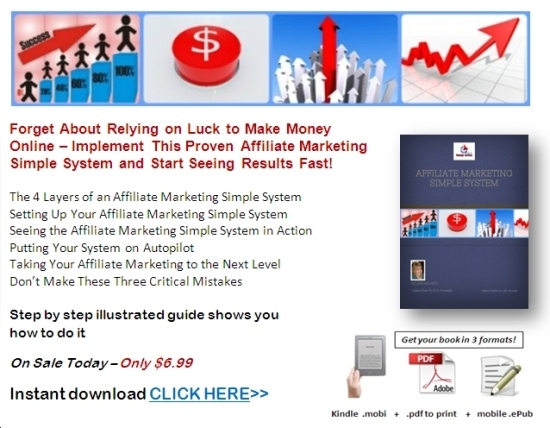 If you need help to get started you should get my book with the straight forward step-by-step tutorial for how to make money with affiliate marketing! It has a money back guarantee, so if for any reason you are not happy with this product, just drop me a line and I'll refund your purchase price! This brilliant tutorial comes in 3 formats for you to download and select from. Read it on your computer or print it out from the .pdf document, or read as .mobi doc on your Kindle, or on your smart phone or tablet in .epub format... read and learn at anytime, anywhere! Click banner below to buy now! 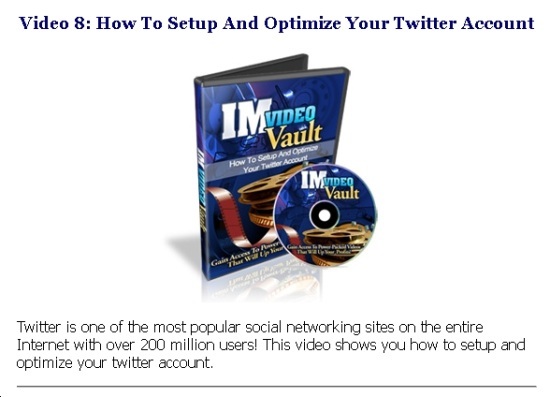 Below here I'm featuring more pages with helpful how-to-do-it tips on this subject of IM and video tutorials. Back to HOME PAGE of this Internet Marketing Video Tutorials section of the site.